Rosa Sistemi S.P.A. has recived the “Top 10 Supplier 2016″ award. 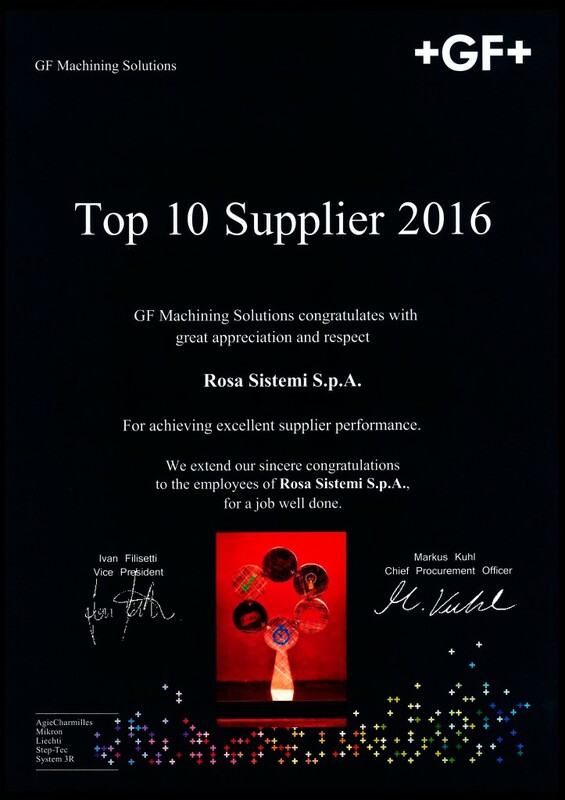 GF Machining Solutions group has added Rosa Sistemi S.P.A. to their best suppliers list of 2016, extending their congratulations to all our employees for a job well done. We are honord to recive this important acknowledgement for achieving excellent supplier performance.